The Power of Silence - Turning Point Resolutions Inc. Article written by Jim Fannin and originally posted on Huffington Post. It’s between the notes of some of the greatest songs ever recorded. We don’t always notice because multiple tracks of vocals, percussion, string and horns block it out. But silence is there. Without it, the recording would just be noise. Adjust silence and the song changes. Silence is prevalent within the greatest speeches in the world. The dramatic pause has been mastered by the best orators of our time. Silence is an equalizer in an argument or verbal confrontation. Being silent and calm while the other person yells and screams is liberating. This goes against the grain of the normal reaction of yelling or screaming back. Silence in a negotiation reigns supreme. Silence refuses to give away your hand. Silence with a confident look commands the room and exudes power. Silence can produce intimacy. A look, touch or smile with verbal silence as the sidekick can set the tone for an amazing night of romance. Now when you speak, the impact can be immediate. Go to silence immediately when you are faced with something you don’t like, want or enjoy. This could be anything from financial bad news, a missed 3-footer, a sick relative or a wrecked car. Keep silence with you, until you can remove emotion from your mind. By being silent you can now read body language better. Approximately 70-80% of what’s communicated is non-verbal. With silence you can hear voice inflections, tonality changes, facial gestures and other body cues. Two ears and one mouth beckon you to listen twice as much as you speak. Judiciously sprinkle silence throughout your meals and you’ll start eating slower. When dining in relative silence, you will be more prone to putting down your fork between bites. Now you can taste and smell your food. Stop loudly eating and start silently dining. This could help your waistline. Finding a place of silence is a great refuge for learning, creating, pondering and innovation. Once a year for 43 years I find this place in Sedona, Arizona. Here…I’m silent and at one with my surroundings. My soul is replenished from my trek to the red rock beauty of this place. In fact, I’m there in one week. Yippee! If Sedona isn’t on your bucket list (go there at least once) then find a silent room in your home. We have a white room and a Zen garden that both scream…S-I-L-E-N-C-E. I love to silently hang out there! Set your phone alarm three to four times a day to signal 90-seconds of silence. You can even be silently alone in a crowd. Now the musical notes of your day with soar on a blanket of silence…and the Zone day arrives. A friend of mine recently contracted laryngitis. He literally could not speak a word without strain and discomfort. Maybe his wife, co-workers and a few friends were happy, but he was not. After three days of verbal silence, he started feeling great. Also, he thought less. By force he understood the power of silence. What would happen if you didn’t speak for one full day? Sometimes you really need to quiet your mind. With our conscious mind being bombarded from the Internet, TV, radio, co-workers, family and friends, it is no wonder we overthink, overreact and ultimately clutter our mind. This, of course can easily spawn worry, anxiety, fear and other mental maladies. 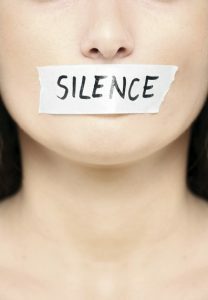 For 549 straight months, I’ve had a personal, monthly Silence Day. During these waking hours I speak and think the least of any day of the month. Reduce your thoughts by 30 percent on your personal Silence Day. Speak only if necessary. This will energize you. Text. Email. Nothing more. This extreme measure will work for you. It’s only 12 times per year. Try it! Non-verbal silence. Verbal silence. Mental silence. Physical silence. Spiritual silence. Romantic silence. Business silence. Sports silence. Less is more. Commit to the power of silence.